The prophet Nehemiah's cousin has been catapulted into the center of the Persian court – working long hours, rubbing elbows with royalty, and becoming the queen's favorite scribe. Not bad for a woman living in a man's world. But a devastating past has left Sarah believing that God doesn't love her and her achievements are the measure of her worth – a measure sh can never quite live up to. Darius Pasargadae is accustomed to having his way. A wealthy and admired aristocrat, the las thing he expects is an arranged marriage to the queen's scribe, an intelligent woman who scorns him. For the first time in my 20+ years of reading a book did what I thought was the impossible. I have gone through the gamut of emotions with the characters in literally hundreds of novels. Some of them tugged at the heartstrings and some were sad, but until Harvest Of Rubies not one book had brought me to tears. In those pages Nehemiah tells Sarah that her worth isn't defined by her abilities and that she has been hiding behind the gifts God gave her. Those words struck like one of Darius's arrows. I don't have a Nehemiah to tell me the truth and I don't yet have the hope of a Darius. But what I do have is that same God using the pages of a novel, penned by a woman who's life has been far removed from mine, to tell me that it is His opinion alone that matters and that His view of me is much different than how others, and even I, see myself. Honestly, it is how IT made me feel and even think, that makes Harvest Of Rubies such a good book in my opinion. Yes, the book is well-written; the research and rich detail that Tessa Afshar put into it are wonderful. But is the way she caught my attention and made me feel as if Nehemiah and the others were speaking directly to me, not preaching at me, but telling the honest-to-goodness truth. I started reading the book and thanks to the internet being down I had few distractions, I actually finished it over the course of the afternoon. Even now after I have finished it I still find my mind going back to what I read. A truly good book is one that long after you might forget the character's names you still remember what it contained. I am usually fairly skeptical of Biblical fiction, questioning how accurate to the Bible and history the book is, but Tessa Afshar has won me over as a new fan with Harvest Of Rubies. Tell Tale Book Reviews gives Harvest Of Rubies by Tessa Afshar an unreserved 5 Bark rating. a book through the links provided I will receive a small kickback. The train to Garber, Texas, is supposed to bring life's next victory to Nicholas Lovelace. Instead, he gets held up by robbers who are thwarted by the last person Nick expected – Anne Tillerton from back home in Prairie Lea. Anne's been hiding away as a buffalo hunter. She's only in Garber to find their runaway cook, but the woman flees – leaving Anne with her infant son. With Nick the only person Anne knows in Garber, the two form an unlikely team as they try to figure out what to do with the child. But being in town means acting and dressing for polite society – and it's not going well for Anne. Meanwhile, Nick's work is bringing new pressures, and being seen with a rough-around-the-edges woman isn't helping his reputation. Caught between their own dreams, a deepening relationship, and others' expectations, can the pair find their way to love? If time spent reading is a good judge of a book then I'd I have to say that Caught In The Middle is a good one. I had a hard time putting it down and finished it in a day. Every time I put it down it seemed to keep tugging me back, just one more page, just one more chapter... You know the drill. Since I hadn't read any of Regina Jennings' books before I didn't have any preconceived ideas on how the story would go. I have to say that I was quite surprised by the two main characters, they jump to conclusions, unintentionally hurt each other's feelings, make mistakes. Through all of that they manage to take care of a baby, work together, go into politics, make a few friends and a few enemies, forge a stronger faith, and they just might find love. Caught In The Middle was a great story and will take you on some unexpected detours along the way. If you enjoy historical fiction I would definitely recommend this book. It has a bit of everything; drama, ethical dilemmas, politics, humor, train robbers, heartbreak, romance, and best of all a happy ending. I do have to say that the cover of Caught In The Middle is one of the cutest ones I have seen in my reading so far this year. The Bethany House team have outdone themselves once again. Tell Tale Book Reviews gives Caught In The Middle by Regina Jennings a 4 Bark rating. LONDON IS SAID to be the glittering jewel of society, a world unto itself, but to Julia Elliston, it is a city of shadows. Now under the protection of Lord Pierson, she is caught up in his desperate plan and thrust into the public eye as his rightful heir. She's the toast of London, a celebrated curiosity, but with the entire city clamoring for more news of the Emerald Heiress, Julia quickly finds it difficult to maintain the illusion. Each step forward pushes her closer to the precipice. And she must not forget that Chance Macy's power is far-reaching as well. One false move, and he could bring her – and the future she's fighting for – tumbling down. Aided only by a gentlemen whose intentions she prays she can trust, Julia must find a way to regain control of her own fate. But outwitting one's foe rarely goes according to plan. Oftentimes the second book in a series just doesn't quite live up to its predecessor. It's almost like the author pours everything into the first one and has little leftover. Mark Of Distinction was totally the opposite, ﻿Jessica Dotta﻿ has spaced out her storyline and character development perfectly. I liked book one for the quality of the writing but I enjoyed book two even more. I have to admit that I didn't always exactly like Julia in Born Of Persuasion, she seemed to be self absorbed and very naïve. In Mark Of Distinction she starts to mature, gaining in understanding and compassion. I really liked watching her grow and how the author delved into how Julia's past affected her actions and thoughts. This is much the story of young and innocent girl caught up in the machinations of powerful men bent on accomplishing their own ends. There are two truly good men that try to help her, and honestly, I found myself divided on who I hoped she might marry. This Book earned a 4.5 Bark rating. Once again ﻿Jessica Dotta﻿ has written a detailed story full of complex characters. A story that pulls the reader in and holds them captive until the very last page. This book will keep you coming back for more and in the meantime wondering where the plot might twist next. Mark Of Distinction is not a quick read. It is over 400 pages, but it is very well written and every page is worth taking the time to enjoy. In many ways the writing style and the story reminds me much of Jane Eyre, and as a fan of the classics, I find that to be an excellent feature. Don't miss any of the books in the Price Of Privilege series, both Born Of Persuasion and Mark Of Distinction are excellent reads! Tell Tale Book Reviews gives Mark Of Distinction by ﻿Jessica Dotta ﻿a 4.5 Bark rating. It's been more than fifty years since Clara cared for injured WWII soldiers in the Women's Army Corps. Fifty years since she promised to deliver a dying soldier's last wish. And fifty years since the soldier's young widow gave her the baby quilt – a grief-ridden gift that would provide hope to countless newborns in the years to come. On her way to the National World War II Museum in New Orleans, Clara decides it's time to share her story. But when the trip doesn't go as planned, Clara wonders if anyone will learn the great significance of the quilt – and the promise stitched inside it. This story was by no means what I was expecting. I thought this would be a cutesy romantic WWII story. A Promise In Pieces was so much more than that! The story is in two sections and is from the perspective of an elderly woman on a road trip with her family, while traveling she tells her story to her grandson. Interspersed with her memories are events that happen on the road trip. There was a lot packed into this little book with less than 200 pages. One woman's lifetime of heartache and joy, the good memories and the bad. I loved how realistic the story is, Emily T. Weirenga has done and amazing job portraying that life isn't always easy and sometimes it can get pretty hard, but through it all the heroine learns the power of hope, forgiveness, love, and faith in a God that orchestrates it all. A Promise In Pieces is a real tearjerker but it is still full of hope and faith. A Promise In Pieces is a good story to be read by people of all ages, young women like myself to great-grandmothers who have lived it themselves. Tell Tale Book Reviews gives A Promise In Pieces by Emily T. Weirenga a 4 Bark rating. A relaxing day of rock climbing takes a disturbing turn when Kayden McKenna’s route leads her to a face-to-face encounter with a dead climber. Is it a terrible accident or something sinister? When the case is handed to the overburdened sheriff, he turns to Jake Westin. With Jake’s past now revealed, he’s ready to use his talent for investigation again-–but he could never prepare for where the case will take him. Kayden and Jake soon realize that the death was no accident. And worse, it seems the killer is on to them. When strange things begin happening in Yancey, Jake is terrified that once again his world may put someone he loves in danger. But the truth is far worse than either of them imagine. Getting excited to read the book? Want a sneak-peek at Silenced? Dani Pettrey is a wife, home-schooling mom, and the acclaimed author of the romantic suspense series Alaskan Courage, which includes her bestselling novels Submerged, ﻿Shattered﻿, ﻿Stranded﻿, and her latest release, Silenced. She feels blessed to write inspirational romantic suspense because it incorporates so many things she loves–the thrill of adventure, nail biting suspense, the deepening of her characters’ faith, and plenty of romance. She and her husband reside in Maryland, where they enjoy time with their daughters, son-in-law, and super adorable grandson. WHEN THE VILLAGE OF FARTHERING ST. JOHN IS STUNNED BY A SERIES OF MURDERS, DREW FARTHERING IS DRAWN AGAIN INTO THE SLUETHING GAME. Evidence of secret meetings and a young girl's tearful confession point to the victim's double life, but what does the solicitor's murder have to do with the murder of a physician on the local golf course? Nothing, it would seem-except for another puzzling note, affixed with a similar-looking bloodied hatpin. I sincerely enjoyed the first Drew Farthering Mystery, Rules Of Murder, loving the Agatha Christie references and the English feel, so when I got the chance to review ﻿Death By The Book﻿ I jumped at it as fast I could. I was not disappointed, the mystery kept me telling myself that I would read just one more page, one more chapter. Yeah, well, you know how well I kept to that plan. ﻿Death By The Book﻿ was the perfect mystery! I was kept guessing from beginning to end and only started to get a faint clue who the killer was literally right before the big revelation. Julianna Deering knows how to get her readers interested and coming back for more. As I got to know Drew and Madeline further in this book I liked them even more. They are a nice young couple genuinely care for people the people around them, their interest in solving the mystery is mostly to help the innocent and maybe even guilty people involved. They also enjoy their fun much to Madeline's aunt's dismay. Oh, wait until you meet Aunt Ruth, she is a real corker! Fans of period stories and fans of mysteries are both in for a real treat in reading ﻿Death By The Book﻿. Author Julianna Deering has the combination down pat. Don't miss a single Drew Farthering Mystery! Tell Tale Book Reviews gives ﻿Death By The Book﻿ by Julianna Deering a 4 Bark rating. IT ISN'T CASSIE HADDON'S fault that she has reached the age of twenty-five without possessing any useful skills. Until the War Between the States, she always had servants. Since then, she and her mother have been forced to rely on family to care for them. But now the well of human kindness has run dry – and Cassie must find work to support them. Unfortunately, leaving the past behind is easier said than done, and Cassie must summon all of her courage and wits to convince local restaurateur and grocer Jacob West that she's exactly what his business needs. 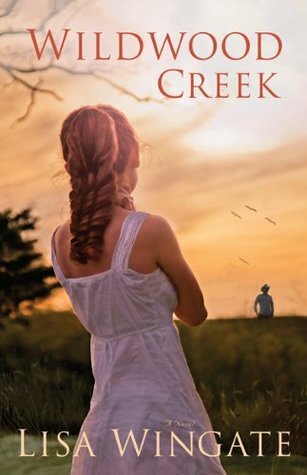 With her signature sweet romance, Ann Shorey weaves a tale of two people from different backgrounds finding common ground and the hope of a bright future together. This was a wonderfully sweet historical with some surprising twists and turns. To be honest, it was the first line in the book blurb that caught my attention, “It isn't Cassie Haddon's fault that she has reached the age of twenty-five without possessing any useful skills.” Since I wasn't familiar with Ann Shorey's books I didn't know if they were sweet romantic historicals or funny ones or dramatic. I was pleasantly surprised to find all three were elements of this enjoyable story. ﻿Love's Sweet Beginning﻿ has everything going for it, a skilled author, a nice storyline, enjoyable characters, and even a lovely cover. I really liked Cassie. She starts out as a young woman who is obedient to her mother to a fault but by the end of the book she has become a spunky and independent young lady. Watching her grow and change through the story was fun. Jacob is good man, and hardworking to a fault, kind to his employees. I liked how the author portrayed Jacob as a man trying to do what is right but also making mistakes. Through the book God gently tugs him towards finding his own faith. Ann Shorey is quite good at creating a variety of characters and eliciting the reader's emotions involving them, you will find yourself rooting for some and totally disliking others. I got so involved in the story that I hardly got anything else done. I was also a perfect bedtime read, I read quite a few enjoyable pages while tucked under one of Grandma's quilts. Tell Tale Book Reviews gives ﻿Love's Sweet Beginning﻿ by Ann Shorey a 4 Bark rating. Congratulations Sylvia! Thank you for taking the time to visit my blog! just replace the (at) with an @ and the (dot) with a . and I will get the info out. Desperate times create desperate people. And desperate people are dangerous . . . Though Emily Hunt comes from a family of cops, the relatively quiet life of a high school teacher suits her just fine. She's saving to buy a house, slowly moving forward after her brother's death, and settling into a life she love. So the lat person she wants to spend time with is Mason Taylor. As an undercover cop, mason is enemy number one as far as her family is concerned. His involvement in the death of Emily's brother is still up in the air, and now he expects her to help him with a case. Mason has been working with one of her students, Rafael Cerda, whose brother has been kidnapped by a drug cartel. And with time running out to meet their demands, Rafael is getting desperate. Emily will have to draw on all of her strength yo handle what happens next . . . Fatal Exchange will draw you into a complex matrix of intertwining lives, unraveling secrets, and unexpected love. Wow! What a wild ride! Just when I thought I had things figured out there would be another plot twist which kept me guessing until the end. One of the things I enjoy about reviewing is finding new authors to read. I enjoyed this book and will definitely be looking for more books by Lisa Harris, and that sneak peek for the next book in the Southern Crimes series has me gasping to find out what happens next. I looked forward to every aspect of this book, from the striking cover to the fact Suspense is my favorite genre. ﻿Fatal Exchange﻿ lived up to all of my expectations and then some. Life and death danger, mystery, double-crosses, romance, a loving family, good friends, and reminders of God's love even in dark times, what more could you ask for in a book? Lisa Harris is very good at weaving themes of forgiveness, love of family, and sacrifice for others into a riveting suspense story. There is non-stop action and excitement so the reader doesn't feel preached at in the slightest, instead coming away with the need for forgiveness imprinted in the heart and feeling satisfied in the time spent reading. ﻿Fatal Exchange﻿ is a real page-turner and is a must read for suspense fans. Tell Tale Book Reviews gives ﻿Fatal Exchange﻿ by Lisa Harris a 4 Bark rating. In SILENCED, Book 4 of author Dani Pettrey’s award-winning Alaskan Courage series, a relaxing day of rock climbing takes a dark turn when Kayden McKenna’s route brings her face-to-face with a dead climber. Was the climber’s death a terrible accident or something more sinister? When the case is handed to Yancey’s overburdened sheriff, he turns to Jake Westin for help. With the truth of Jake’s past now revealed, Jake agrees to use his investigation skills for this one case–but nothing could prepare him for where the case will take him. As Kayden and Jake work together to uncover the truth, will they also find a refuge in each other? Or will the deadly plans of a killer destroy their chance at love? To celebrate the novel, Dani and Bethany House Publishers are pleased to present the RUGGED ROMANCE SWEEPSTAKES, and your chance to win one of three marvelous prizes, all closely connected to the story. This giveaway starts May 1, 2014 and ends May 21, 2014 @ 11:59 pm (PST). Entry is open to US residents only, age 18 and over. Winners will be selected Friday, May 23, 2014, and announced at DaniPettrey.com. In SILENCED, Kayden’s adventurous nature and skills as a pilot come in handy as she and Jake race to uncover the truth. If you’ve always dreamed of hopping on a plane to chase your own adventures, but don’t have a well-trained pilot and a Cessna at your disposal, we’ve got the perfect prize for you. As Jake and Kayden crisscross the Alaskan wilderness looking for answers, they also see some of the most glorious scenery on earth: soaring mountains, crystal clear lakes, and incomparable wildlife. Could there be any better setting for a glowing romance? Now you can share in the romantic scenery, even if you don’t live in Alaska. If you, like Kayden, have secretly dreamed of a romantic mountain-top picnic, this is the prize for you. Go to http://www.danipettrey.com/rugged-romance-sweepstakes/ and complete the entry box, anytime between May 1 and May 21. ﻿Tell Tale Book Reviews﻿ is hosting a giveaway of a print copy of Silenced! 1. Please leave a comment on this blog post. 2. Liking our Facebook fan page (Button is located on our sidebar). 3. Following us by email using Feedburner (Use the form located on our sidebar). 4. Liking Dani Pettrey's Facebook page by clicking HERE. Leave an additional comment per entry. You will receive 1 entry per action with a possible total of 4 entries. 1. Void where prohibited by law. 3. Must be 18 years or older. 5. Odds of winning depend on the number of entries. 6. This giveaway is in no way associated with Facebook, Twitter, or any other entity unless otherwise specified. 1. Giveaway runs from 12 am MST (Mountain Standard Time) May 11th, 2014 through 12 am MST May 18th, 2014. 3. Winner will be announced on this blog and on our winners page. A link to the winner post will also be posted on our Facebook fan page and Tweeted. 4. Winner is responsible for contacting me with their mailing address. The email to contact is telltalebookreviews(at)gmail(dot)com just replace the (at) with @ and (dot) with . 6. Bethany House will see to mailing the books once they receive all the winner names from this tour. A book tour hosted by Prism Book Tours. Happy Mother's Day! In Meant to Be Mine, Celia has been living as a single mother and then later in the story has to figure out who she is as a woman as her daughter becomes less dependent on her. We want to thank all you moms out there who give so much of yourselves to do what you do!! It isn't easy being a mother all the time, but it is also one of the best jobs for all the love given and received. Ty Porter has always been irresistible to Celia Park. All through high school—irresistible. When their paths cross again after college—still irresistible. This time, though, Ty seems to feel exactly the same way about Celia. Their whirlwind romance deposits them at a street-corner Las Vegas wedding chapel. Did you miss any of the stops along the tour? You can go back and check them out now! "It had a perfect mix of romance, heartbreak, well-fleshed characters, inspiration, hope, and a small-town setting....Truly a well-written, heartfelt, and enjoyably sweet story!" “I’m not Mrs. Porter.” Teasing tinged her voice. She didn’t want to be too hard on him, not when the notion of him wanting to marry her was so outrageously flattering. “Definitely.” She didn’t want to tell him this, at the risk of seeming pathetic. But she’d follow him anywhere. "Read this if you enjoy contemporary romance with twists, cowboys and cute little girls. And great (clean, but sweep you off your feet) kisses." She forgot how to breathe. He was striding down the sidewalk towards her, a few shops away and closing, looking up, probably to find the sign that said Jana’s. She’d anticipated that he’d look handsome. But ‘handsome’ was something you might say about a male model in a magazine ad; it was too stiff and flat an adjective for Ty Porter. Ty Porter had the kind of appeal that pulled your gaze to him and wouldn’t let you look away. "I think this story will ring true and resonate with many readers- that love isn’t always like a Disney fairy tale. If you’re a fan of great love stories with memorable characters- don’t miss this one!!!!" "I was surprised by how much I loved this book! The secret baby theme isn't my favorite, but the author was so skilled in portraying the complex emotions of the characters, I was immediately drawn in and couldn't put the book down!...I definitely recommend this book and can't wait to read the rest of her books!" "Ty Porter and Celia Parker got married in Vegas after dating four days. It shouldn’t have worked, and for a long time, it didn’t. But God had a plan to save the bull rider and the baker’s marriage, and He carried it out despite their stubbornness, bitterness, and inability to forgive. This reader really enjoyed being along for the ride." "I am so glad that I read this. It delved deeper into all aspects of relationships with their sacrifices and trust issues. It was an eye opener for me. I definitely will be reading the rest of the series." "This is truly a fun read and the simpleness of the story is beautiful. The author has also brought out the strong belief people have in God and in the end how that can shape or change a person’s life if you just believe. This is a beautiful story of love, understanding and trust, the lengths to which people can go to protect the ones they love or to gain the trust of the people they love." "I LOVED THIS BOOK! I loved the banter, the romance and the theme of forgiveness! I couldn't put the book down and recommend it to all!!!" "It’s romance with just the right touch of faith at it’s heart. The characters are spot on and the pacing is fantastic." "I absolutely loved the journey Ty and Celia went on in their discovery of what truly matters in life. The journey to true love isn't always easy, but it can be so much fun, as well as sweet and romantic." If he could feel a calm sort of kindness toward Celia, that would be good. That's what he'd been going for tonight. Instead, when she'd opened her door, pleasure had rushed through him at the sight of her. After years on the road, seeing her standing in front of him with a bright, good-smelling house behind her had felt like coming home. The kind of home that had nothing to do with her fool apartment. Once Pummeler had disappeared down the passage where all bulls disappeared, Ty lifted his hat, smiled at the crowd, and turned in a circle to acknowledge their support. The down-home commentators with the chicken-fried-steak accents called him a ‘fan favorite’ and a ‘three time world champion’ and ‘third in the season’s standings’. “Nice try, Pummeler.” Celia shook her head and fast-forwarded. Ty rode again and stayed on again. Unfortunately no one would be denting Ty’s arrogance tonight. "If you are looking for a cute story full of witty banter and to sink your teeth into be sure to check out this book as well as Becky Wade’s other stories." 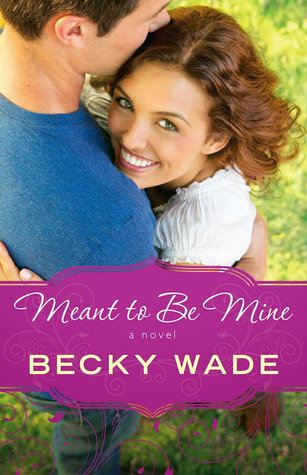 "I just got through Becky Wades new book called Meant to Be. If you haven't read any books by Becky, I highly recommend it! She is a delight....It's truly great and I give it five stars!" "I just loved everything about this book. I loved that it made me mad, and laugh and cry. I mean, when an author does that to me, I just want to jump up and down. I know, kind of crazy, but I love it when a book can bring such emotions out of me....It was sweet, funny, and just an all around great read." "It's official. I'm a die hard Becky Wade fan. I love her books. They are real and heartfelt stories that I connect to....I would highly recommend this book to fans of Christian fiction and romance. It's a beautiful reminder that marriage is sacred to God." "The Christian elements are there but aren’t overpowering. The story really shines through and I enjoyed it all a lot. In fact, when I finished this book, which is the second in the series, I went right to Amazon to check out the other books by this author." "I just love the simplicity and the beauty of the story. It’s about love and forgiveness. It’s one of those books you want to read if you want to relax and unwind." Becky and her husband lived overseas in the Caribbean and Australia before settling in Dallas, Texas. It was during her years abroad that Becky's passion for reading turned into a passion for writing. She published three historical romances for the general market, put her career on hold for many years to care for her kids, and eventually returned to writing sheerly for the love of it. She’s delighted to be penning warm, wry, and heartwarming contemporary romances for the Christian market. Her CBA debut, My Stubborn Heart, was a finalist in both the RITA and INSPY awards. Undeniably Yours kicked off her Texas-set Porter Family series. Her newest contemporary romance, Meant to Be Mine, has just hit shelves! Rachel Yoder has two choices: marry Gabriel Fisher or move to Ohio. As an orphan, she doesn't have much to offer – any match she can make would be considered a good one. She just didn't plan on Gabriel with his big hands and permanent frown. As a widower Gabriel needs help caring for his farm and six children. But he never thought he'd marry a slip of a girl who barely reaches his chin. Yet as time passes, Rachel finds herself thinking about a real marriage. The vows they spoke to God and each other are true enough, but will Gabriel ever be able to give his heart to Rachel? As a reader that only enjoys SOME Amish fiction I usually try a new author with some trepidation. I quickly lost that with ﻿Gabriel's Bride﻿. The book was new, different, and not the usual hackneyed storyline. I was pulled in with chapter one and it kept me hooked all the way through to the last page. I really liked both Rachel and Gabriel. Rachel is sweet and genuinely tries to fit in and help her new family. Gabriel is a bit gruff and doesn't always know what to say but he loves his family very much. It was neat watching the two grow, change, and get used to each other. I really enjoyed how Amy Lillard made her characters flawed and make mistakes but still doing their best and trying to do what is right for their family. As with most Amish stories faith and family are foremost. I love the wholesome but also realistic life stages and predicaments that the characters find themselves in. There is romance, danger, drama, and humor all rolled into 300 pages of good book. Some of the best humor comes when Gabriel's boys decide they don't want a new mother and the tricks they pull on her, and how she good-naturedly gets back at them. ﻿Gabriel's Bride﻿ was an enjoyable story that I would recommend to any lover of Amish fiction! Tell Tale Book Reviews gives ﻿Gabriel's Bride﻿ by Amy Lillard a 4.5 Bark rating. He couldn't help but like her fighting spirit. She was way smarter and more independent than she had a right to be. She always called him on his bull. And all that cutting humor of hers could make him laugh, really laugh. Which was nothing like the fake chuckles he usually gave women. He even approved of the nickname she'd given him. He'd have preferred something more masculine, but showboat was pretty funny. He'd pretended to hate it because he knew anything less would have stolen her fun. He hadn't wanted to steal her fun, not when the sight of her cooking dinner had been one of the sexiest things he'd seen in years. The whole thing -- the cooking, that little yellow shirt, her feistiness, their dinner with Addie -- made him remember why he'd gone so stupid over Celia in Vegas in the first place. Quaker Anja Steinberg could not save her Jewish husband and young daughter from the Nazis, but even in the midst of her heartbreak, Anja is following her faith's calling to help Allied airmen escape from behind enemy lines to freedom. When American Peter Trent's plane is shot down, he parachutes into a field near Anja's grandfather's farm, and she sees Peter as just one more in a long line of soldiers that she will help escape to return to his base in England. The journey will take months and he will need to travel across most of western Europe – all the while with the Gestapo in pursuit. There's just one small problem: Anja is falling in love with Peter. And loving this soldier could be life-threatening, not only for Peter but for Anja and her ten-year-old son as well. I've not read very many World War II novels, kinda seems like historical stories end for me in 1920, but lately I have been coming across some really good ones that take place during the 40's, and this is one of those books. I read the first book in this series, All God's Children, and definitely enjoyed but I think I liked Simple Faith even more. There was more adventure and intrigue in book 2. I also really liked how the heroine, Anja, is a strong woman. Going beyond her own pain at the loss of her husband and baby, having survived and escaped a concentration camp, she endangers her own life trying to save as many people as she can. Then everything changes, instead of guiding people towards safety she is the one needing help. On the run with an American pilot she is beginning to fall in love with, she winds up trekking across several European countries in a desperate bid to save his life, her own, and more importantly, her young son. Each of the characters have their own battles, their own fears, and really their own inner demons. How far will each of them go to save the others? Are they willing to pay the ultimate sacrifice? To me, the story was much about choices and personal sacrifice and I found myself wondering how far I would go, would I be strong enough to do what Anja does? Once again the pacifist faith of the Quakers is put to the test in the horrors of war. The Quaker faith is something I know very little about and I very much liked learning more about their beliefs and practices through entertaining pages of a novel. This is a great book for fans of WWII fiction. ﻿Anna Schmidt﻿ has outdone herself with Simple Faith. In many ways this book had the same qualities of those wonderful old WWII classic movies, kind of like Casablanca without the questionable morals and dubious ending. Tell Tale Book Reviews gives Simple Faith by ﻿Anna Schmidt ﻿a 4.5 Bark rating.